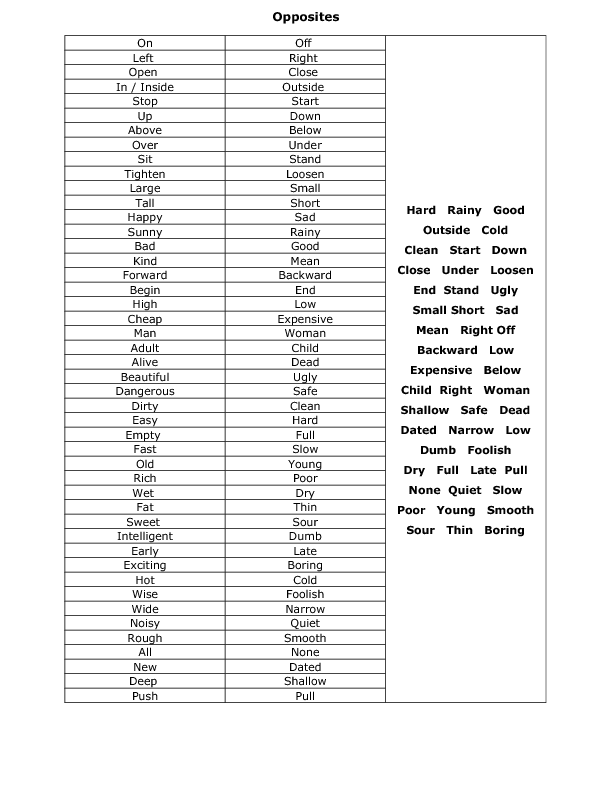 This is an intermediate level (esl) worksheet of some common word opposites. 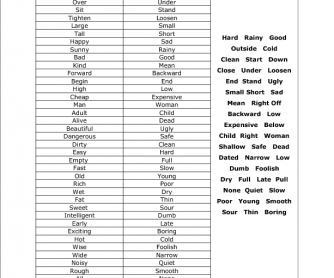 This includes prepositions, adjectives, nouns, etc. This is the teacher's copy. I use these worksheets as filler material for students who finish early or for students who want to do extra work.